The 12 traditions serve as a guideline or manual for 12-step groups like Alcoholics Anonymous (A.A.) and Al-Anon. Here we discuss Tradition 6. 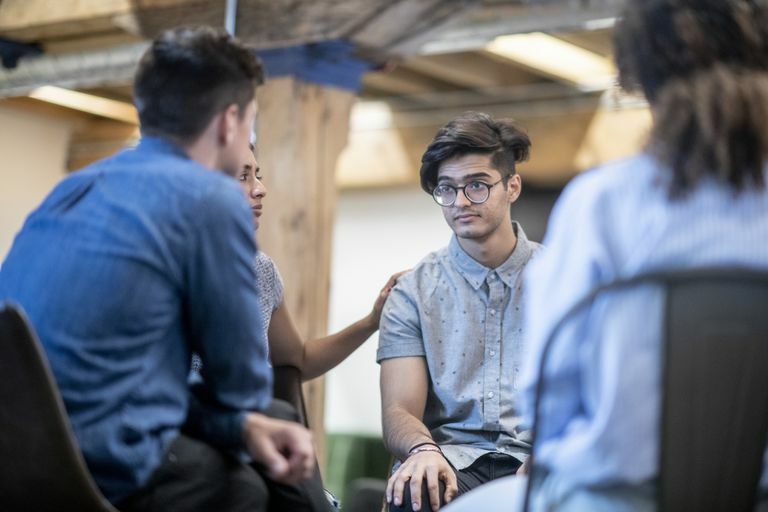 In order to preserve the integrity of the program and maintain their primary spiritual aim, 12-step support groups do not endorse any outside organizations and causes. "Tradition 6: Our groups ought never endorse, finance or lend our name to any related facility or outside enterprise, lest problems of money, property, and prestige divert us from our primary purpose." And the Al-Anon version adds: "Although a separate entity, we should always cooperate with Alcoholics Anonymous." "Problems of money, property, and authority may easily divert us from our primary spiritual aim. We think, therefore, that any considerable property of genuine use to A.A. should be separately incorporated and managed, thus dividing the material from the spiritual. An A.A. group, as such, should never go into business. Secondary aids to A.A., such as clubs or hospitals which require much property or administration, ought to be incorporated and so set apart that, if necessary, they can be freely discarded by the groups. Hence such facilities ought not to use the A.A. name. Their management should be the sole responsibility of those people who financially support them. For clubs, A.A. managers are usually preferred. But hospitals, as well as other places of recuperation, ought to be well outside A.A. - and medically supervised. While an A.A. group may cooperate with anyone, such cooperation ought never go so far as affiliation or endorsement, actual or implied. An A.A. group can bind itself to no one." As individuals, members of 12-step support groups are free to endorse, finance, or affiliate with any organization, religion, political party, charitable or civic organization they wish. But as a group, such endorsement could lead to misunderstanding and confusion. With so many outside organizations in recent years attempting to use the name of Alcoholics Anonymous or Al-Anon Family Groups to promote their treatment programs or therapy approaches, it's more important than ever that Tradition 6 be observed. Although individual members may recommend or even be employed by such organizations, the group as a whole should avoid associating its name with these outside enterprises, namely professional treatment facilities or therapists. Even worthy projects such as starting a 12-step club or supporting a shelter for abused spouses should not be entered into as a group project, but rather as an effort of members as individuals, if they so desire. Invariably, these situations can involve struggles over finances and control and can divert a group and the fellowship away from its primary focus on recovery. Members come into the rooms each week seeking help from the experience, strength, and hope of other members. This process can be interrupted if the group spends part of the allotted time for discussion of outside activities. When a group's discussion becomes dominated by outside issues, it robs individual members of their meeting time. In short, tradition 6 ensures unity within the group. Al-Anon Family Groups. The Twelve Traditions. Alcoholics Anonymous. The Twelve Traditions (The Long Form).